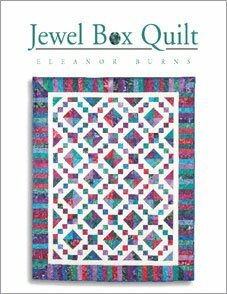 From Eleanor Burns, the Jewel Box is a real gem! Although the quilt calls for up to twenty-five different fabrics, each color is used equally, so there is very little waste. Comes with yardage charts and instructions for Making Piano Keys Border.